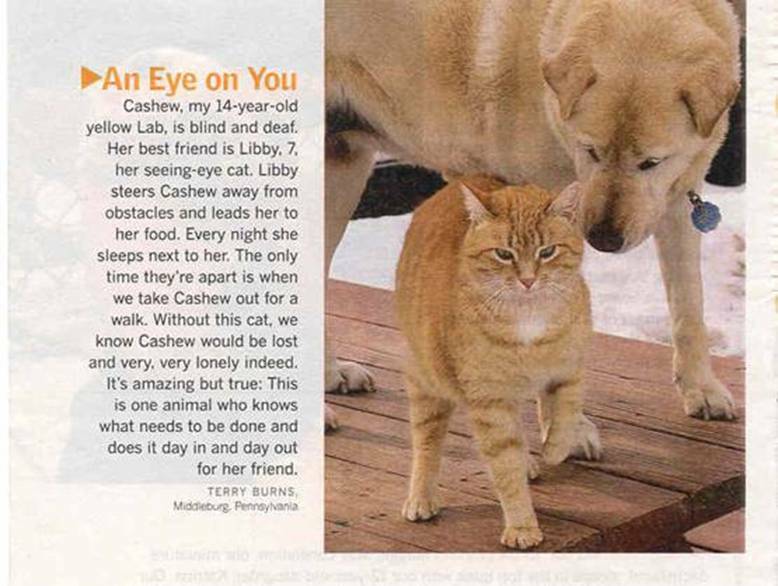 A seeing eye… cat? | Be Nice. This entry was posted in Amicable Allegories and tagged Cats, Dogs, health, seeing eye dog by Jen. Bookmark the permalink. How sweet! I’ve seen that kind of cat/dog bond, but not with such a need.